Able to remove the debris attached to the production bed. The bed is cleaned using rotating disc scrapers which break up the concrete residue on the production bed The debris, together with the waste water is then sucked up and deposited into a collection bin for quick and easy emptying. The oiling takes place by means of nozzles which spray oil onto the production bed. 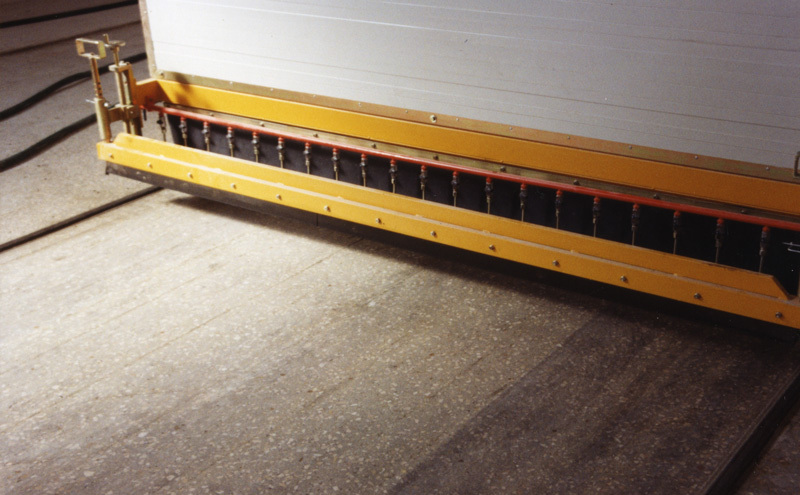 As the oil is sprayed a rubber squeegee spreads the oil evenly across the bed making the machine as eﬃcient as possible with the consumption of the oil.